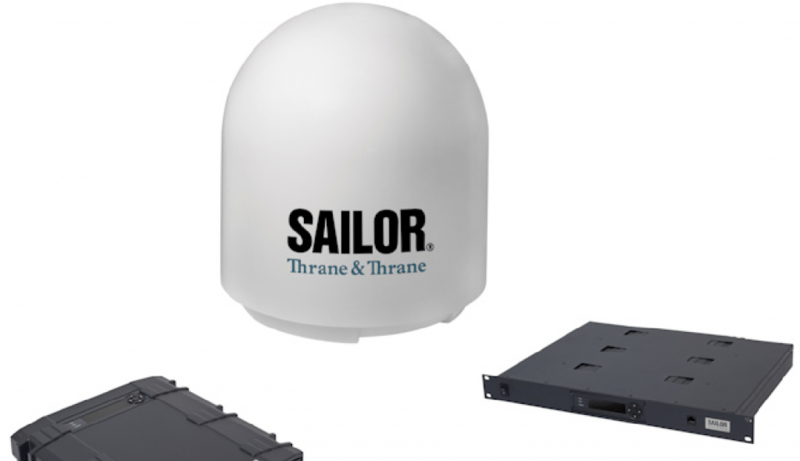 What is a Sailor 900 VSAT System? 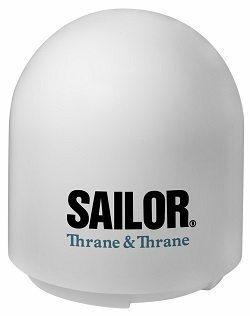 The SAILOR 900 VSAT is a unique stabilized maritime VSAT antenna system operating in the Ku-band (10.7 to 14.5 GHz). 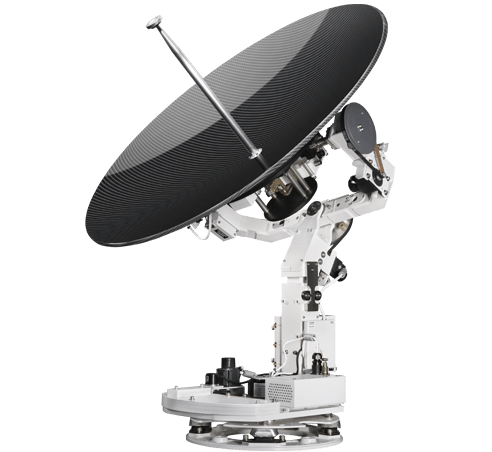 It provides bi-directional IP data connections both on regional satellite beams and quasi-global Ku-band satellite networks. The system only requires a single 50 Ohm cable to provide the Above Deck Unit with both DC power, data and control information. 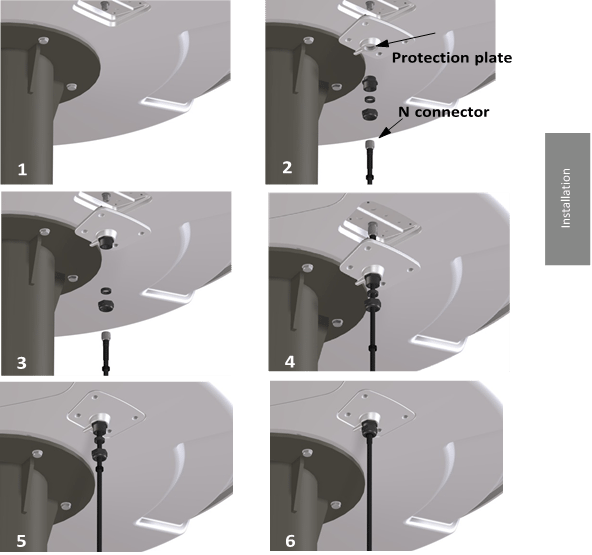 The radome does not have to be removed neither before nor after the installation. To protect the Above Deck Unit the built-in DC motors act as brakes during transport and when the Above Deck Unit is not powered. The ADU system can be accessed remotely and in-depth performance analysis can be done using the built-in web interface. The following figure shows the SAILOR 900 VSAT system. Single 50 Ohm coax cable for the ADU. 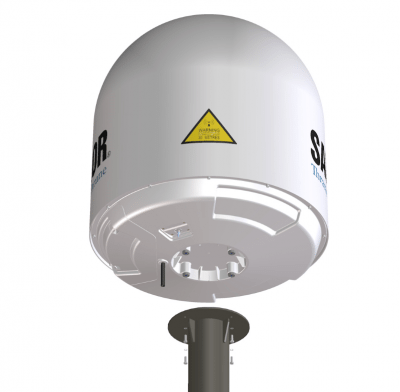 Support of several VSAT modems. 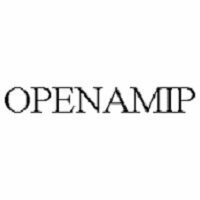 Service communication using SAILOR FleetBroadband over WAN. Remote or local simultaneous software update of ADU and ACU via PC and Internet browser. Full remote control and troubleshooting with built-in test equipment (BITE). 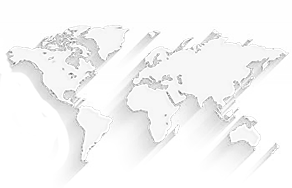 ACU with 4 x LAN, NMEA 0183, NMEA 2000, RS-232 and RS-422. All interfaces at the ACU, no additional units required. DC powered. Start up voltage: 22 VDC guaranteed, operating range: 20 – 32 VDC. Make sure there is sufficient space for access through the service hatch. Make sure to maintain the vertical orientation of the ADU center line. Check that the ADU is installed where vibrations are limited to a minimum. Check that you programmed the blocking zones correctly. Make sure that the safety distance for radiation hazard of 30 metres is kept. Check that the mounting height of the antenna is in accordance with the ship’s min. roll period. Undo all shipping buckles, take off the wooden top and remove the casing. Unscrew the 4 bolts holding the ADU on the wooden platform. Attach a webbed, four-part sling with a belt to all 4 lifting brackets. Attach 2 tag lines of suitable length to 2 lifting brackets and man them. With a crane lift the ADU off the wooden platform and move it on top of the ADU mast. Install the ADU on the mast flange with 4 M12 bolts and washers. Put the coaxial ADU cable through the protection plate as shown in the following figure, and connect the N connector of ADU cable to the ADU. Put the protection plate in place and fasten the 4 bolts (Picture 5). Fasten the nut (Picture 6). Make sure that the distances to radar, Inmarsat systems, GPS receivers and other transmitters are as required. Make sure that the drain tube is open and risk for water intrusion is at a minimum. Check that the ADU is grounded correctly, using the mounting bolts. Maximum allowed cable loss = 20 dB at 1950 MHz. This is to ensure optimum performance of the system. Slide the ACU into a 1U space in a 19” rack. Mount the screws in each side through the holes in the front and fasten the screws to the rack. Make sure that the unit is mounted securely according to the requirements for your 19” rack. Set the On/Off switch at the back of the ACU to On. Then you can use the On/Off switch at the front panel of the ACU 19” rack version. The ACU has additionally a LAN connector at the front for accessing the service port from the ACU front panel. Make sure that the grounding requirements are met. The ADU is connected to the ACU with the ADU cable (coax cable) with an N connector at both ends. For information on ADU grounding. At the ACU end, it is strongly recommended to ground the ADU cable. Use a short cable from the ACU to a grounding point in the rack and connect the short cable to the ADU cable at this grounding point, making sure the shield of the connector is properly connected to the rack. To ensure that the ACU is grounded – also if the ADU cable is disconnected from the ACU, connect an extra ground wire from the rack to the ground stud on the ACU. This ground wire must be a heavy wire or braid cable with a larger diameter than the coax cable.